Welcome to Hometown Pilates: a fully equipped pilates, barre and fitness studio. You'll find our boutique studio cozy and inviting, with cork flooring, high ceilings, a great atmosphere and high quality teaching. Our small classes will ensure you get the attention you need in order to make progress in your practice. A variety of class types and creative lesson plans will keep you challenged and well balanced. 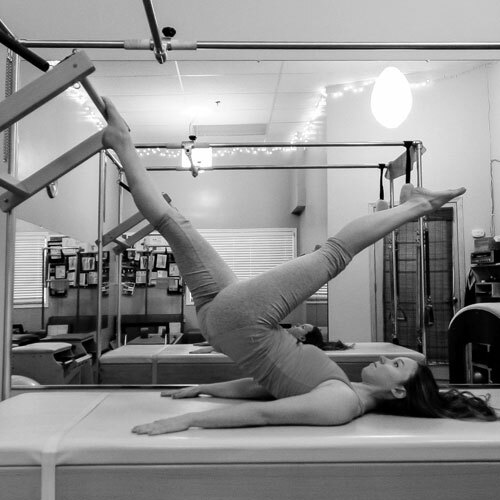 Hometown Pilates is a fully equipped pilates studio offering private and semi-private instruction on the Pilates Reformer, Cadillac, Wunda Chair and other various equipment. We tailor to the needs of every client, and all abilities are welcome.